C.L.H. & Son, Inc., takes pride in our ability to complete structural concrete invert lining projects, efficiently and within budget throughout the Northeast. The size of the culvert, the environmental factors, water flow and application of concrete – these are challenges that C.L.H. & Son, Inc., has successfully completed, time and time again. In an ideal situation, we would replace all culverts; however, budget limitations force state, municipal, and private clients to search for affordable alternatives. Structural concrete invert linings can provide an alternative to cutting open roads. C.L.H. & Son, Inc., provides clients with a free evaluation and estimation for all projects. If you have a culvert in need of repair, anywhere in the Northeast, please contact us. We will schedule a time to inspect the culvert and help you find the best solution. 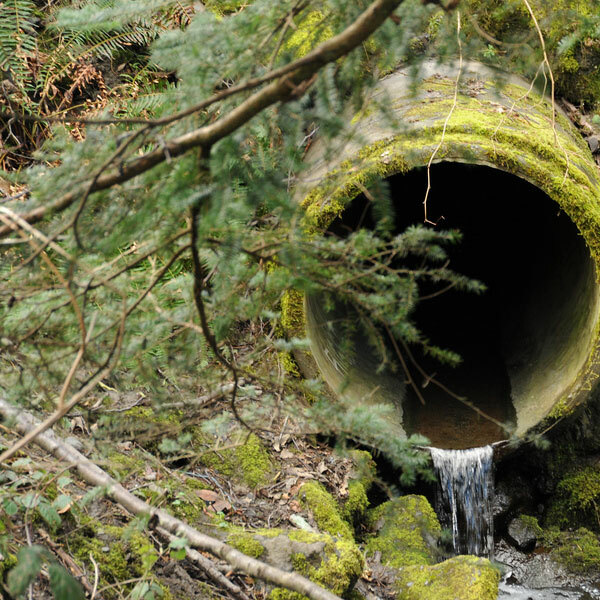 Culvert deterioration can cause serious damage to roadways over time. If you are interested in our structural concrete invert lining services, please contact us today. Are your culverts out of round? We have within our fleet a machine capable of ovalizing culverts and pipes, to return them back to functioning shape. Rather than replacing the entire pipe, you can ovalize it and then slip-line it with a strong interior lining. Do you also have oval culverts in need of repair or cleaning? We can return the culvert to its intended structural integrity, by slip-lining the interior with a strong, dependable material of your choice. We service anywhere in the Northeast region, and will deliver quality results in a timely manner.